On Friday, June 29, a SpaceX Falcon 9 successfully lifted off with a launch of the company's 15th Commercial Resupply Services mission (CRS-15). The SpaceX CRS-15 successful liftoff with Dragon spacecraft payload for ISS. Photo is courtesy of NASA. 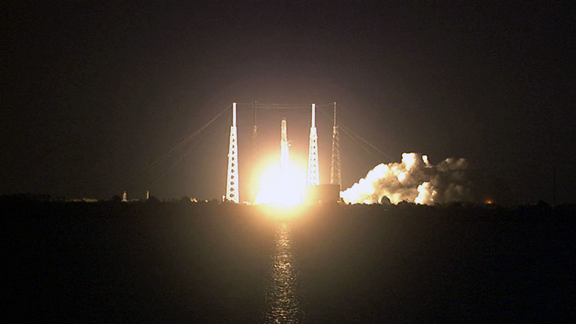 The powerful launch occurred at 5:42:42 a.m. EDT, (9:42:42 UTC), from Space Launch Complex 40 (SLC-40) at Cape Canaveral Air Force Station, Florida. Dragon separated from Falcon 9’s second stage about nine minutes and 30 seconds after liftoff and is on its way to the International Space Station and is currently expected to arrive early on the morning of July 2nd. The SpaceX CRS-15 mission includes a variety of payloads representing diverse science investigations, ranging from the life and physical sciences to Earth observation and remote sensing, as well as educational experiments intended to engage and excite the next generation of scientists and engineers.